One correspondent wrote me: Hi Tonya, I just read your article about facial exercises. I was wondering if rebounding on a mini-trampoline would be good or bad for facial muscles. I have heard that it has an anti-aging effect, but I also heard that aerobic exercise can cause sagging. What do you think? Physics can help explain the quandary! Your body is always on the receiving end of the gravitational pull of the earth. On a trampoline, the effect is intensified and you are suddenly more aware of your body’s response. 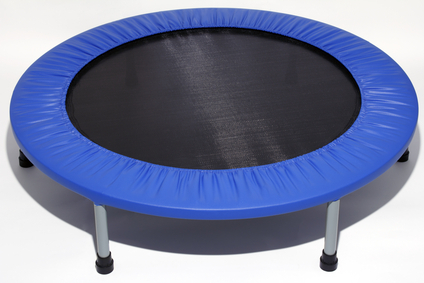 Each time you bounce off the trampoline, you stretch its surface and springs. The maximum stretch on it occurs just before you reach the bottom of the launch. You are heading downward but you are simultaneously losing your downward speed and decelerating. When you spring, there is an initial upward velocity. At the highest point of the jump, your body is suspended for a split second in a state of weightlessness. Descending, the force applied to your body increases. At the lowest point of the jump, the body is receiving at least two gravitational forces that equates with weighing twice its normal weight. Sagging muscles react to increased gravitation pull by accentuating the appearance of flaccidity. However, the trampoline effect is as beneficial as any other stress and relax exercise. The rebound is excellent for overall toning of the body. The trampoline is an all purpose exercise routine. 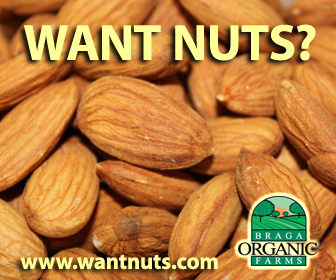 It is low impact and besides making stronger bones and toning muscles, it can lower stress and increase energy. It gives a cardiovascular workout and can help lower cholesterol. Raw foods and facial exercises are your best protection. Loss of tone is what causes the skin to sag and lose its youthful smooth appearance. Your goal should be to strengthen your facial muscles with facial exercises. You should not to be so protective of your face that you miss out on the fun and benefits of trampolining. To stop doing it because all the bouncing might cause facial muscles to sag more would not only be unfortunate but it is the type of solution that deals with symptoms instead of addressing the cause of the problem. 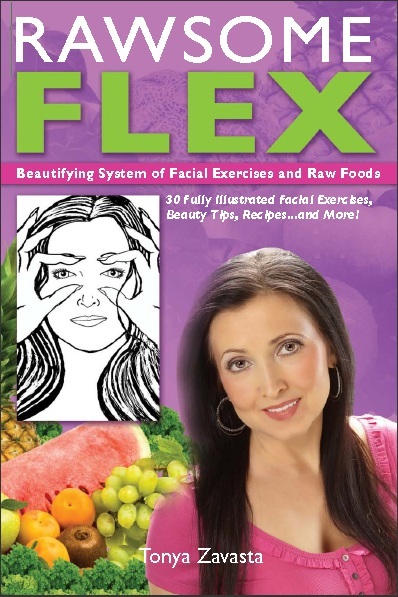 Learn more about facial exercise in my book Rawsome Flex. Strong muscles make it easier for your skin to resist the forces of gravity. The increased downward pull, which occurs when rebounding, causes the cells to strengthen and become denser. Bones, muscles, organs, skin, and tissues all get stronger. By regularly doing facial exercises and strengthening those muscles, it will offset any negative effects of other physical activities. Have fun! Worrying will do more harm to your face than a trampoline. Vitamins Can Shorten Your Life!